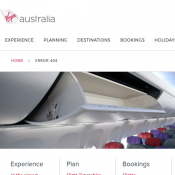 Save 10% on Virgin Australia Economy and Business Class fares with this promo code! Enter the promo code in the box marked 'Promo Code' near the red 'Find Flights' button.Look for the "Promo" text above the fare to let you know it has been applied. Flights must booked 20 days in advance. Expires on 31st July 2017.